Ready up Commanders, we are not alone! Hot on the heels of numerous alien sightings reported across the Elite Dangerous galaxy (aka Reddit), the team at Frontier Developments is poised to release their next big update. While there is a lot to unpack from the sound of their latest newsletter, from the sound of it, revelations and strange encounters of the alien-kind will be occurring on a daily basis. “The Return” (patch 2.4) as it is being called is slated for release on August 17th, 2017 and, while the devs at Frontier studious have stated that there won’t be any immediate appearance by the mysterious Thargoids, you can be sure Commanders across all 400 billion star systems will be on the hunt for Youtube worthy videos to post. Tight lipped as per usual, Frontier teased the first Thargoid appearance back in June of 2017 when the xbox 1 player DP Sayre made first contact. Ripped out of “witch space”, his vessel was scanned and investigated by what looks like a squid after mating with a spinner. The video spread across forums and, before long, players were triggering the scripted event in order to experience the spooky yet tantalizing moment for themselves (not to mention numerous and expected attempts to kill the Thargoid vessel without any success). While numerous mentions of Thargoid tech and materials have appeared since then, no sightings have been made other than the aforementioned event. The devs at Frontier, while eager to share, are keeping this update close to their chest. 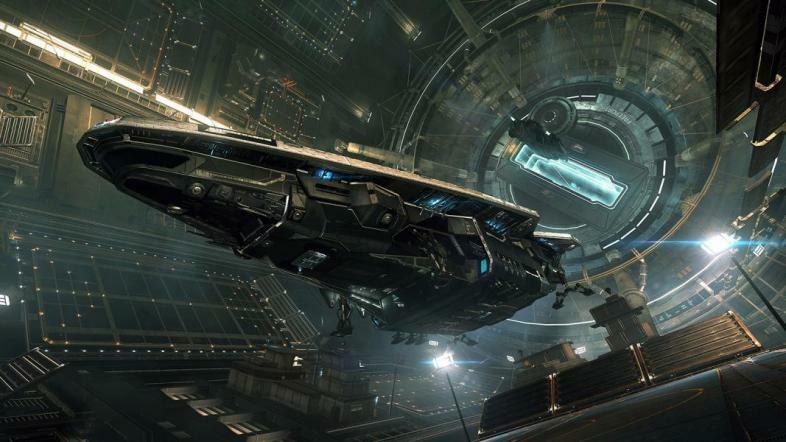 Commanders interested in following the trail of breadcrumbs floating in zero gravity are encouraged to check out the live streams from Frontier building up to and after the release of update 2.4. Commanders can look forward to the galaxy altering events to keep coming as the Thargoids become a major player in humanity’s backyard on August 17th across all consoles.